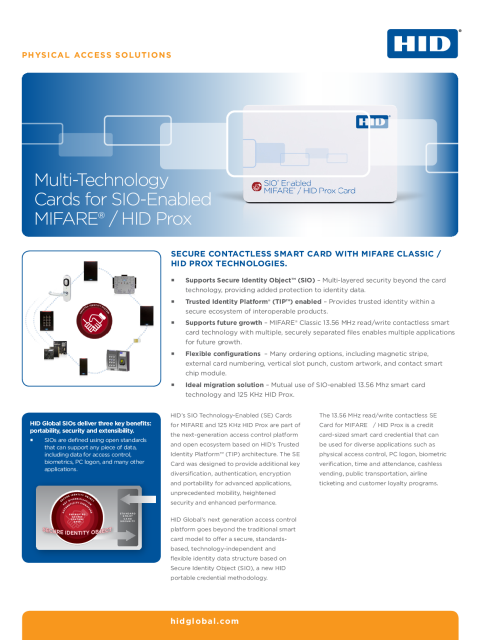 HID Global's SIO®-Enabled MIFARE + Proximity cards are part of its next-generation SIO-enabled access control platform and open ecosystem based on HID's Trusted Identity Platform® (TIP™) architecture. Going beyond the traditional smart card model, the platform offers a secure, standards-based, technology-independent and flexible identity data structure based on Secure Identity Object™ (SIO), HID Global's new portable credential methodology. 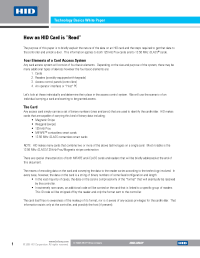 HID MIFARE credentials have the memory structure and capacity to store multiple applications on a single credential. Securely separated sectors that are each protected by a set of two keys and programmable access conditions allow complex applications and provide for future expansion. The data on the card is protected with encryption keys used in the mutual authentication process. Ensures data authenticity and privacy through the multi-layered security of HID Global's SIO. SIO data binding inhibits data cloning by binding an object to a specific credential. 125 KHz Proximity with convenient read range and flexible format programming. 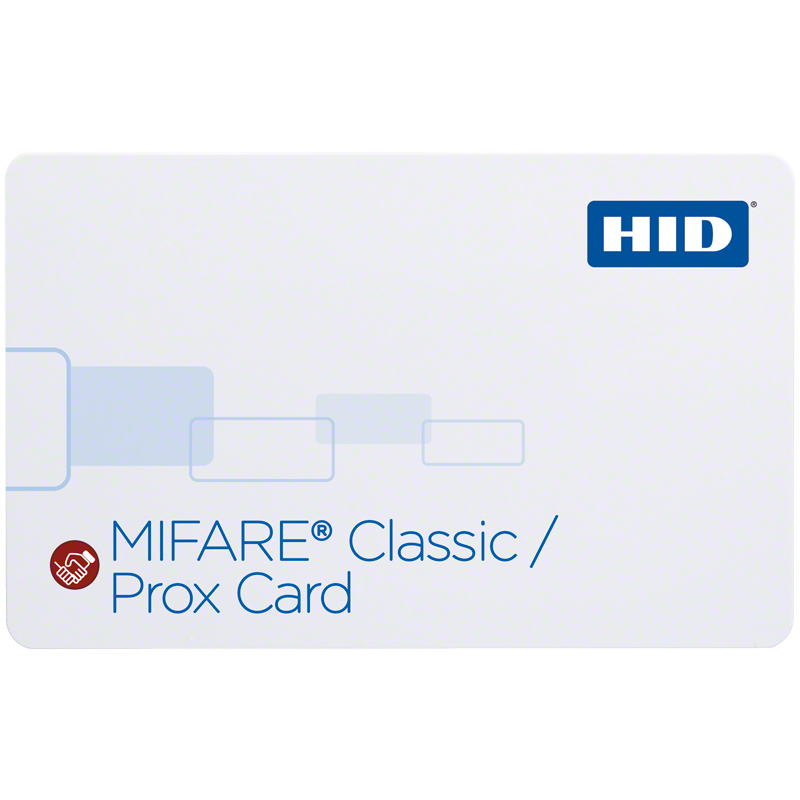 The 13.56 MHz read/write contactless SIO-enabled MIFARE + Prox smart card is credit card-sized and can be used for diverse applications such as physical access control, PC logon, biometric verification, time and attendance, cashless vending, public transportation, airline ticketing and customer loyalty programs.